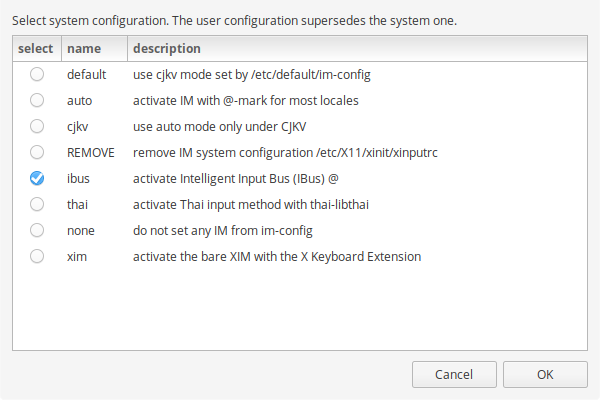 I'm not able to make Elementary OS use ibus as a default input method (IM). 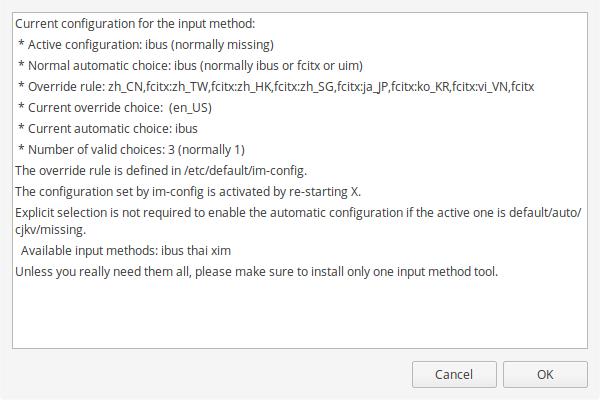 I have installed ibus but I'm not sure what I have to do further. Why I think it's not used as IM is because I've de-selected the "Share same input method among all applications" and still when I switch the language, it is still switched globally. The other reason why I made this assumption is that the OS doesn't take into account what languages I have added in the ibus-setup settings and still uses whatever is chosen in the default settings. I know this question has been raised before, but I couldn't find a solution. Click Yes to update system config. Click Ok and Ok for the next windows. Then restart your computer. The sudo at step 1 is crucial. Without sudo the system just uses the default setting regardless of what you have chosen. Not the answer you're looking for? Browse other questions tagged keyboard release-juno input layout ibus or ask your own question.